Suppose that I'd like to net $5k of monthly income ($60k per year after taxes) from my 401k when I retire in 20 years. For 2017, I would need $69.5k gross distributions from my 401k because my effective tax rate would be 13.7%. 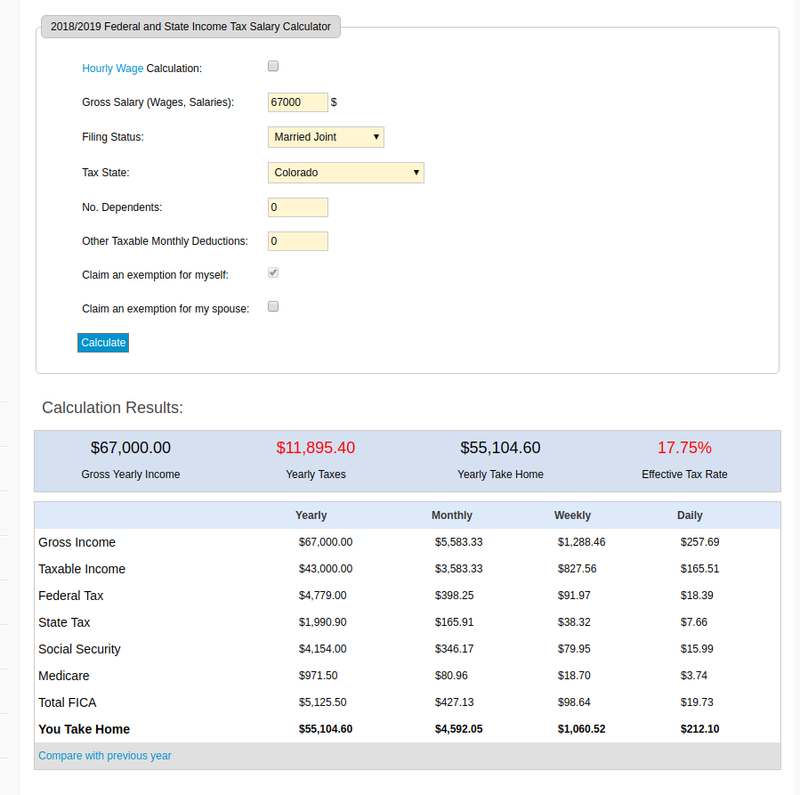 In the US, how do financial planners typically project the effective tax rate for retirees from today (like this website) to what it could be in the future? Do they use a historic trend? Update: This website seems to have a more straightforward calculator. By trial and error, it looks like (at today's income tax rates) $67k is the minimum gross distribution to net $60k. What other income (e.g. Social Security) will there be? What deductions/credits will be available? How will the tax rates change in the future? You certainly can't use today's tax brackets and the income amounts from 20 years in the future, as tax brackets will probably change roughly with inflation. If, on the other hand, you want the equivalent in 20 years of $5k monthly today, then using current tax brackets and rates is a reasonable assumption. In the situation you present, I would probably suggest you be conservative and use a 15% tax rate or higher since it would be better to have more money than you need than less. Another alternative is to use Roth accounts as much as possible so you get the tax out of the way now and don't have to worry about it in the future. I think the best that one could do is to assume that present tax rates will be in effect indefinitely. Of course the tax rate you pay when you retire is likely to be different than the rate you pay when working because your income will not be the same. 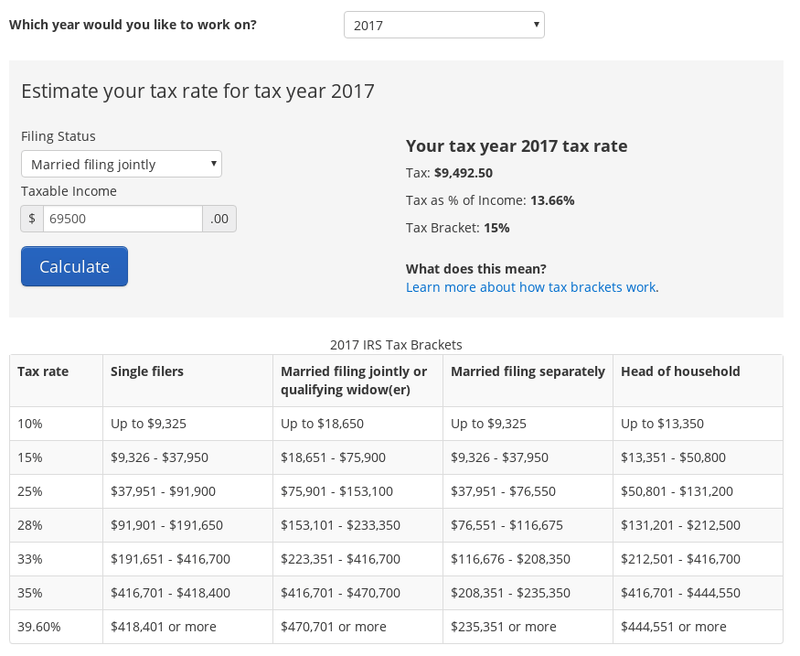 But I'd estimate based on what tax you would pay on your projected retirement income under current tax law. Answer: The software we currently use allows 1) the tax cut is renewed 2) the tax cut expires in 2026 or 3) a custom flat tax rate. It also allows the inclusion of information like mortgage payments, what state do you live in / plan to live in, and how much of a portfolio is allocated to municipal bonds. Although it would be great to know what future tax rates are going to be, we don't know. Seeing a range of scenarios and/or using conservative assumptions can be beneficial (it is better to be pleasantly surprised). If you have deferred tax assets and are concerned about tax rates going up, Roth conversions might be worth researching, but without knowing your situation I can't make a recommendation. Not the answer you're looking for? Browse other questions tagged united-states income-tax 401k retirement-plan or ask your own question. Undo IRA conversion to an existing Roth IRA? Fed's interest rate vs. effective rate?